Gainesville, Florida real estate Blog Index featuring Gainesville Listings, Buyer/Seller Resources, Area Info, Photos/Slideshows & Restaurant Profiles. AmeriDream Downpayment Assistance IS being eliminated 10/01/08. BUYERS on the fence: ACT NOW!! 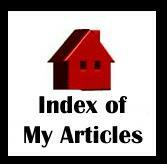 SERVICE PROVIDERS for Gainesville, FL: Home Inspectors, Termite Inspectors, Appraisers, etc. Why is NOW the time to BUY in Gainesville, FL? A Less Expensive Listing Price DOES NOT mean a less expensive mortgage payment! Short Sale vs. Foreclosure: If you're in trouble, know you're options! Gainesville tops list of 7 most RECESSION PROOF cities to live in America! Gainesville currently has one of the *Lowest* unemployment rates in Florida! Who is out and gardening & what are you planting? Have a dollar? Would you like a cheeseburger or a house? 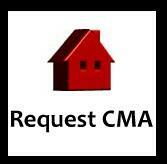 Angela Elliott is a licensed Florida REALTOR® with Classic Properties in Gainesville, FL. Please visit my profile for more about me and browse my Gainesville, FL real estate website for additional Alachua County information and listings. Your phone calls are always welcome at (352) 256-7038 as are your e-mails to gainesvillepro@yahoo.com A portion of all my closed sales will be donated to the Alachua Co. Humane Society (View my mission statement). Your Millhopper Road Specialist! Angela - this post is a great idea. Love that you have all your posts right here! Nice. What if you did this on your profile page? Just a thought, I see what you're trying to accomplish and I think you're well on your way! Congrats! What a fabulous web site, looks like you thought of everything. This web site shows me a lot of hard work and thought went into the making. Great job. Have a question about buying or selling? Let me know! Find FL real estate agents and Gainesville real estate on ActiveRain.